Excavation or sharp rubble may damage your underground cable and pipeline network. Protection of electrical pipelines, telephone, television or fibre optics cables is therefore necessary. 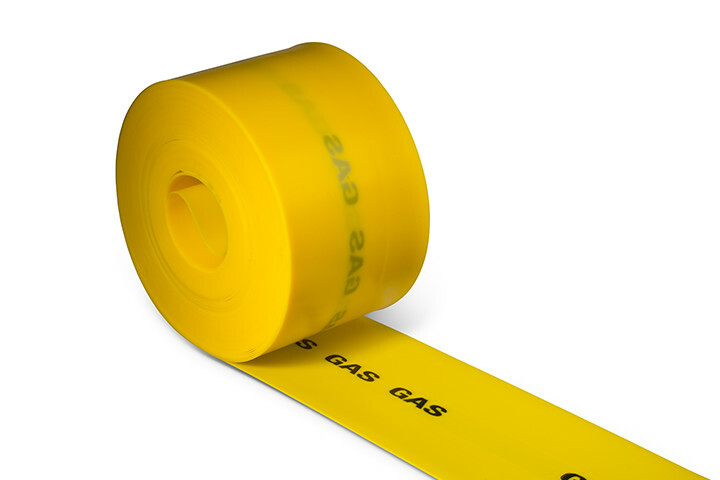 For this you can use durable cable protection tape made of indestructible polyethylene (PE). This hard wearing sheet is sturdy, environmentally friendly and reliable under all conditions. Available in many sizes, thicknesses and colours. Meets DIN 54841-5 and EN 50520. On handy rolls, according to health and safety requirements. 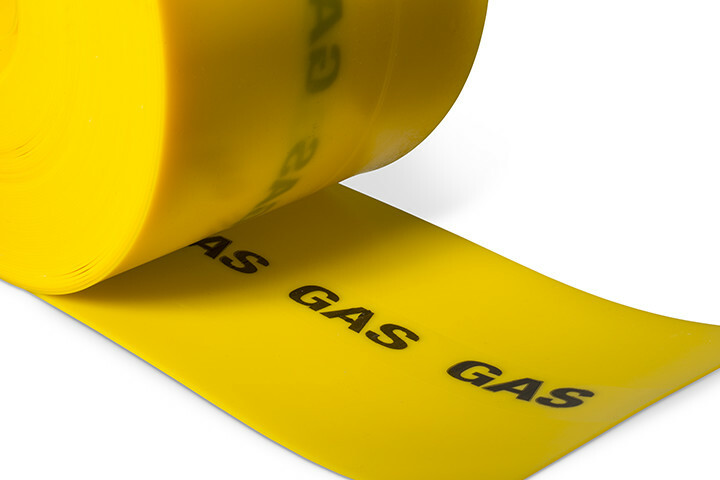 Cable protection tape is available for you in various dimensions. Material thicknesses vary from 2 to 5 mm. Widths vary from 100 to 1,500 mm. The standard colours are green, red, orange and yellow. 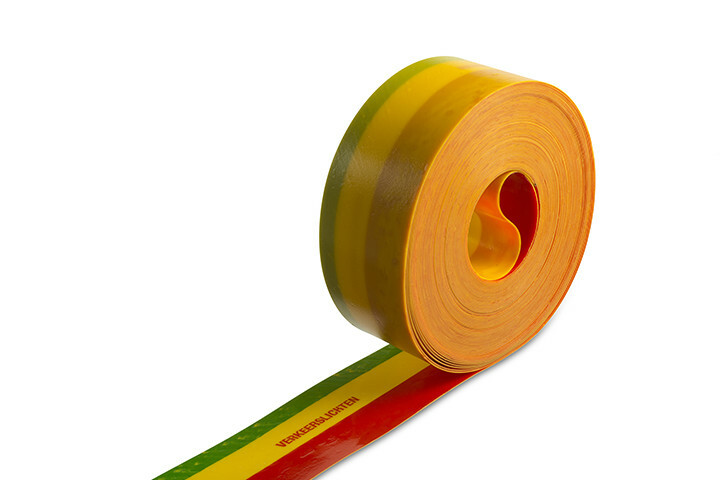 The traffic lights tape in the three colours red, yellow and green is also part of our delivery programme. You receive cable protective sheet on rolls. The standard roll length is 50 metres (from 2 mm thick). 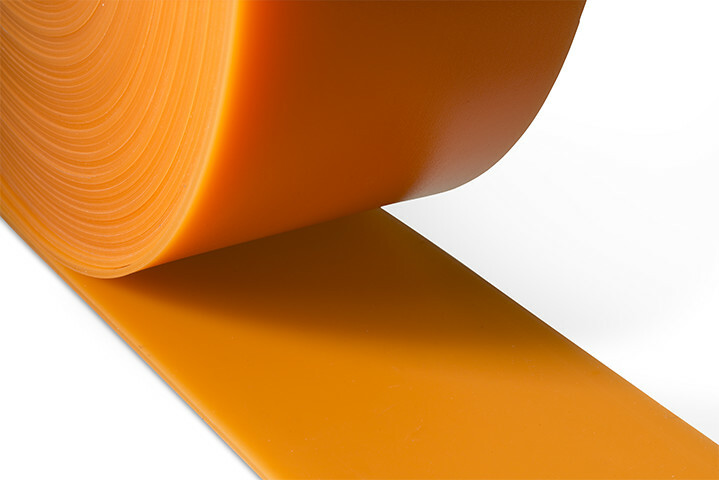 We supply thicker material in different roll lengths. 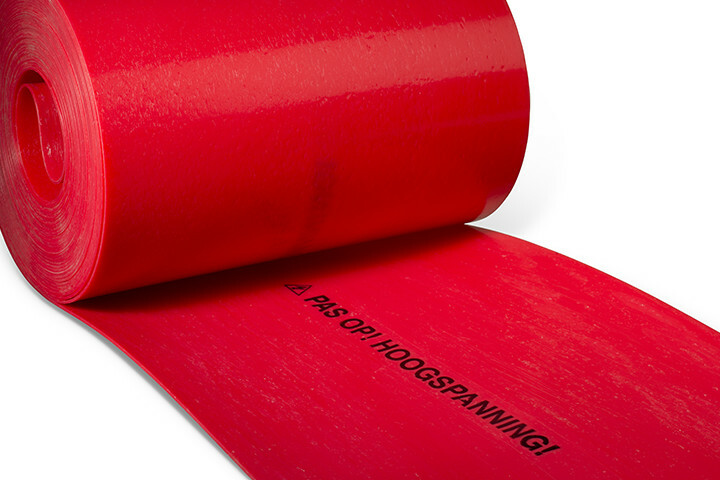 Would you prefer a protection tape with a (warning) text imprint? Then please contact us.